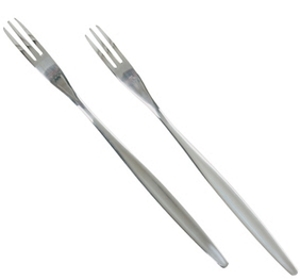 RBOO6 Bamboo Flat Appetizer Pick - 6"
Stainless Steel Pickle forks work well as cocktail forks. They are an elegant addition to any party and transition well from the dinner table to buffet table. The extra long center prong makes spearing condiments quick and easy!